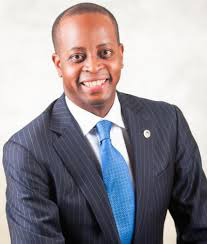 Howard University President Wayne A.I. Frederick said the details of taking over management of United Medical Center are still being worked out. The presidents of Howard University and Paladin Healthcare Capital emphasized the importance of Howard University Hospital’s historic mission to serve the underserved in a conference call with Diverse on Monday. Howard University and Paladin plan to take over management of United Medical Center, a hospital located in southeast Washington, D.C., that has been buffeted by multiple years of financial turbulence. Civic leaders; the president of Howard University; and Joel Freedman, president of Paladin, signed a letter of agreement last Tuesday to let the two entities assume management of UMC. The District will maintain ownership of the hospital. President Wayne A.I. Frederick of Howard University said that the agreement could benefit the citizens of Ward 7 and Ward 8, who now only have limited access to quality health care. “It’s not so much about impacting Howard University Hospital specifically but more enhancing Howard’s relationship and making sure that we fulfill our mission, which is to serve the underserved and to provide medical education for those who otherwise wouldn’t have an opportunity,” Frederick said. Frederick, who earned three degrees—including his M.D.—at Howard, said that the relationship will allow Howard University Hospital doctors to bring their expertise to UMC. “We’re working out the plan, but one of the benefits would be to expose our residence (students) to working in that area, absolutely,” Frederick said. Both hospitals have had some financial troubles lately. Moody Investors Service downgraded the university’s credit rating earlier this year due to a “precipitous deterioration” in the hospital’s finances. Howard University’s finances are woven in with those of the hospital, with the result that poor cash flows at the hospital could negatively impact the university itself. UMC, on the other hand, was foreclosed upon and taken over by the city in 2010. The city later hired Huron Consulting to turn around UMC’s finances in 2013. But Joel Freedman, president of Paladin, said that concerns for UMC’s financial standing have lessened of late, due to the efforts of Huron Consulting. Frederick said that conversations between Howard and Paladin began about 12 months ago, but it was only after Paladin and Howard signed an agreement that they started to consider adding UMC to the mix. “The initial goal was simply for Howard to find a partner, but at the same time the city was looking for an appropriate buyer for UMC,” Frederick said.